We are extremely grateful to have been given the opportunity to cater to Khloé Kardashian for the second year this 4th of July. We had the privlige of catering ice cream to Uber Eats for their company event in Palm Springs, CA. We met some really nice people and had a blast doing what we do best. 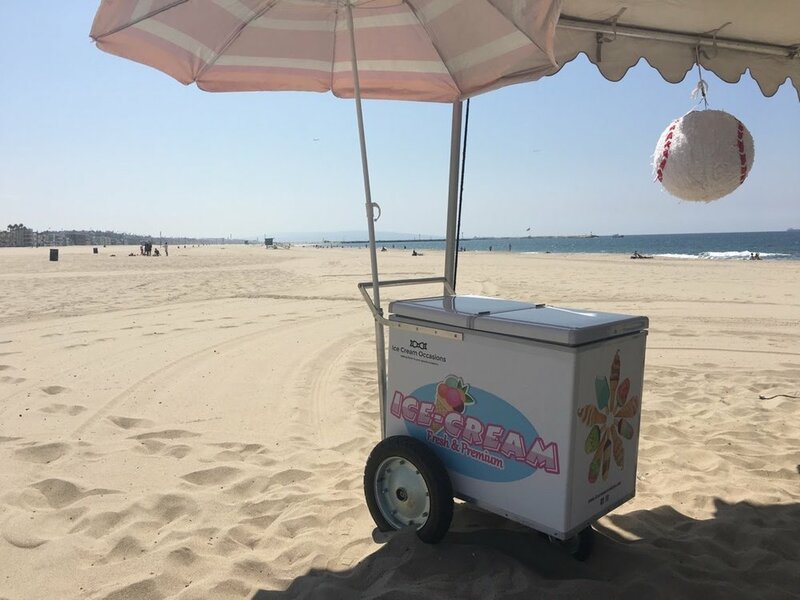 No matter what size event, we have the ice cream carts and ice cream trucks ready with your selection of ice cream. Surprise your friends at the office with ice cream. We were asked to surprise some very special people at HBO with ice cream and they certainly were. The smiles on their faces says it all. You're an awesome friend Julie. Mission accomplished. Happy Birthday! What an awesome birthday with friends, ice cream, and the beach! Two thumbs up Jeff. Ice Cream Occasions has hired to cater ice cream for one of the most prestigious universities in Southern California. What a incredible experience and honor to partner with such an institution. It is going to be amazing working with them the rest of the year.